A 'Mortar' is a bowl shaped container made of a hard wood, shell, marble, pottery, or stone. 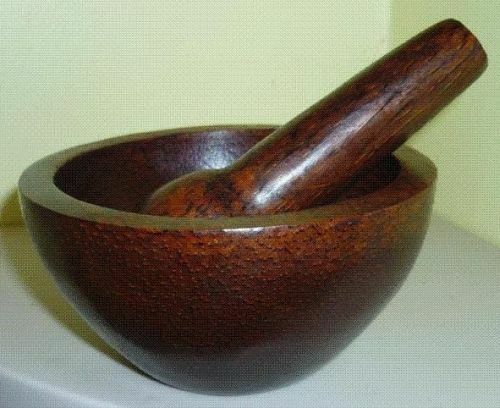 The 'Pestle' is a bat shaped tool that is used to grind inside the mortar (bowl) and pulverize natural gums, herbs, seeds, grains, resins and flowers. 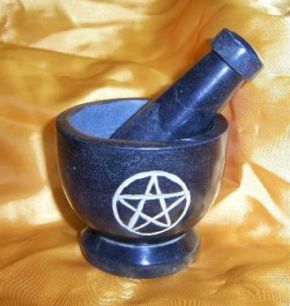 A tool often used in herb craft and traditional incense making. Place the substance to be ground inside the mortar (bowl). 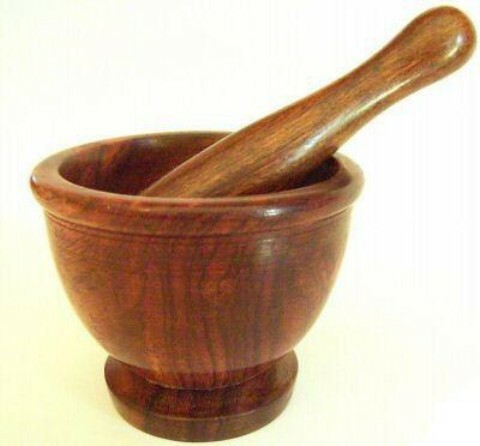 Sit the pestle on top of the substance and apply downward pressure, then grind using a circular motion. 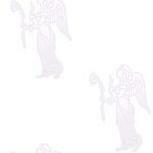 This action forces the substance against the surface of the bowl and refines it. The grinding process releases the oils and the pure essence of the substance. 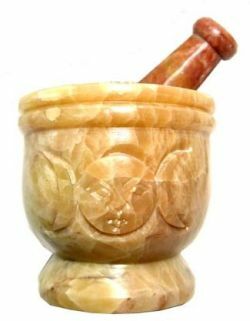 Experience the auromas, chant or visualize as you grind with your mortar and pestle. Using a mortar and pestle is a traditional "craft" of herb preparation.